Delivers 39 Highway MPG and 27 City MPG! This Nissan Altima delivers a Regular Unleaded I-4 2.5 L/152 engine powering this Variable transmission. CHARCOAL, CLOTH SEAT TRIM, BRILLIANT SILVER, [X01] POWER DRIVER SEAT PACKAGE -inc: 6-Way Power Driver's Seat. 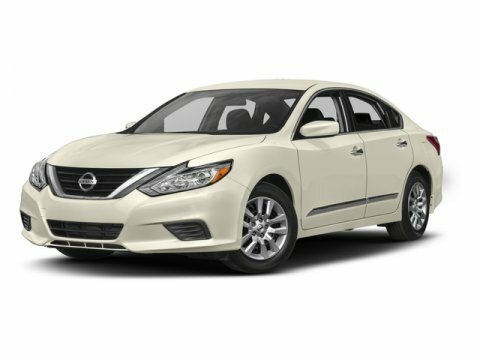 * This Nissan Altima Features the Following Options *[B94] CHROME BUMPER PROTECTOR, [B92] BODY COLOR BODY SIDE MOLDINGS, [B10] SPLASH GUARDS, Window Grid Diversity Antenna, Wheels: 16" x 7.0" Steel w/Full Covers, Valet Function, Urethane Gear Shift Knob, Trunk Rear Cargo Access, Trip computer, Transmission: Xtronic CVT (Continuously Variable). * Visit Us Today *Come in for a quick visit at Bleecker Buick GMC, 926 E 4Th Ave, Red Springs, NC 28377 to claim your Nissan Altima!